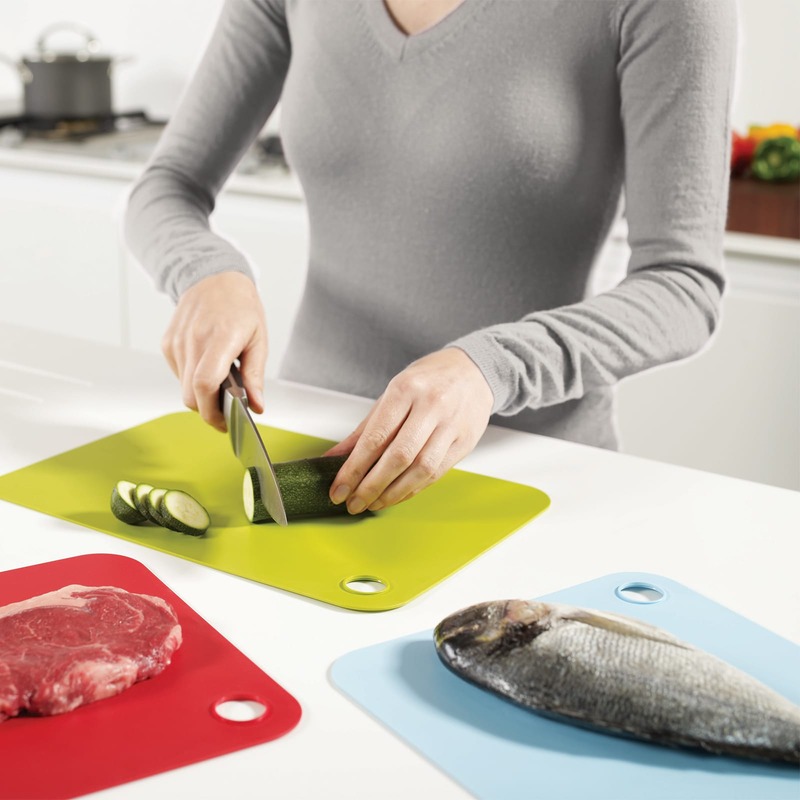 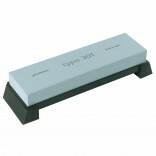 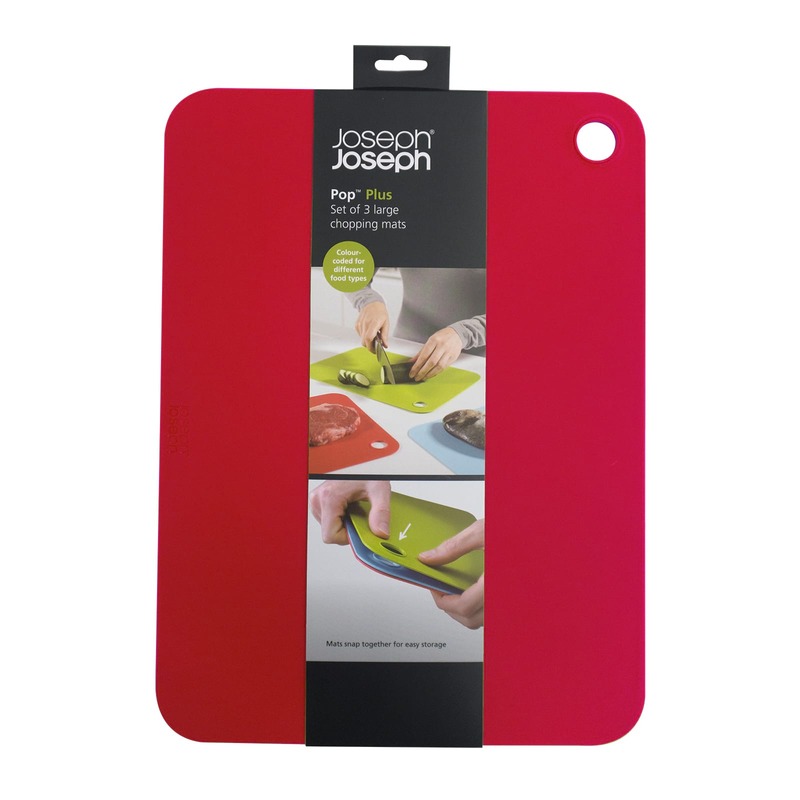 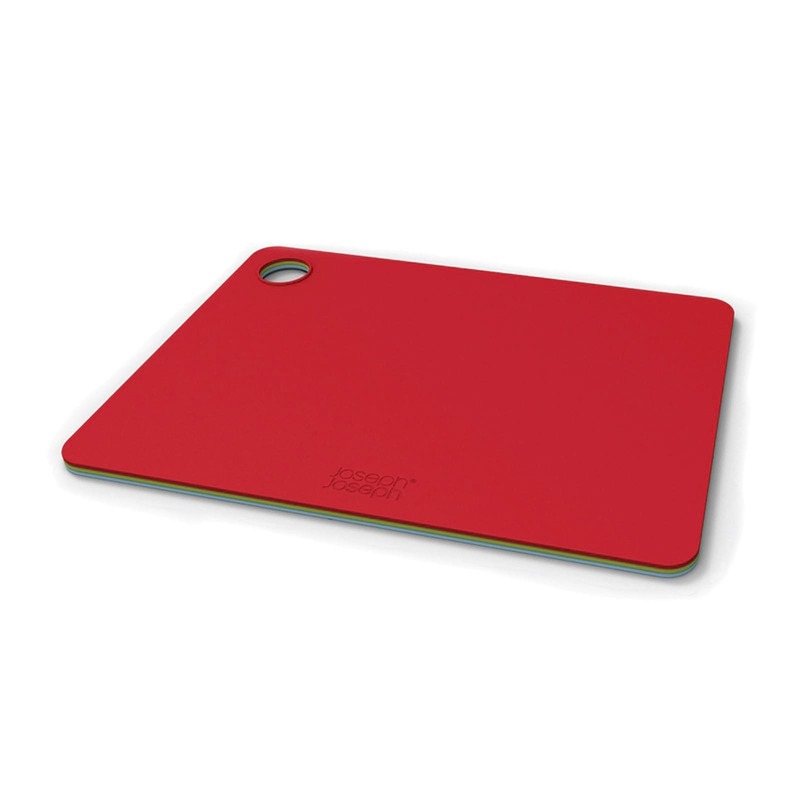 Pop™ Plus set of 3 chopping mats by Joseph Joseph is ideal for a variety of food preparation tasks. 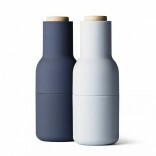 They snap together as a smart space-saving solution. 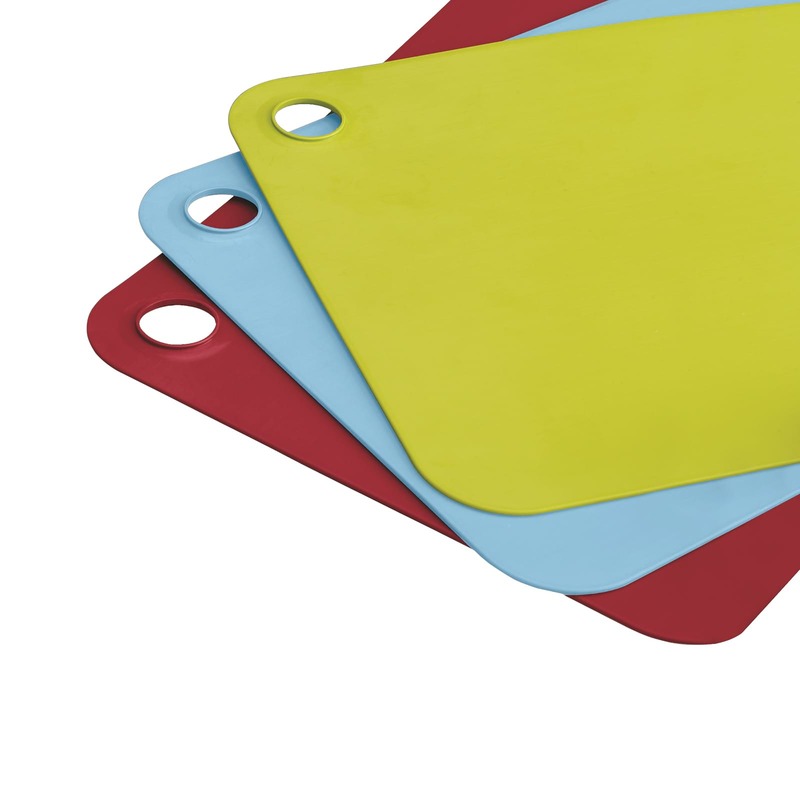 This colorful set of chopping mats are ideal for a range of food preparation tasks and conveniently snap together for easy storage. 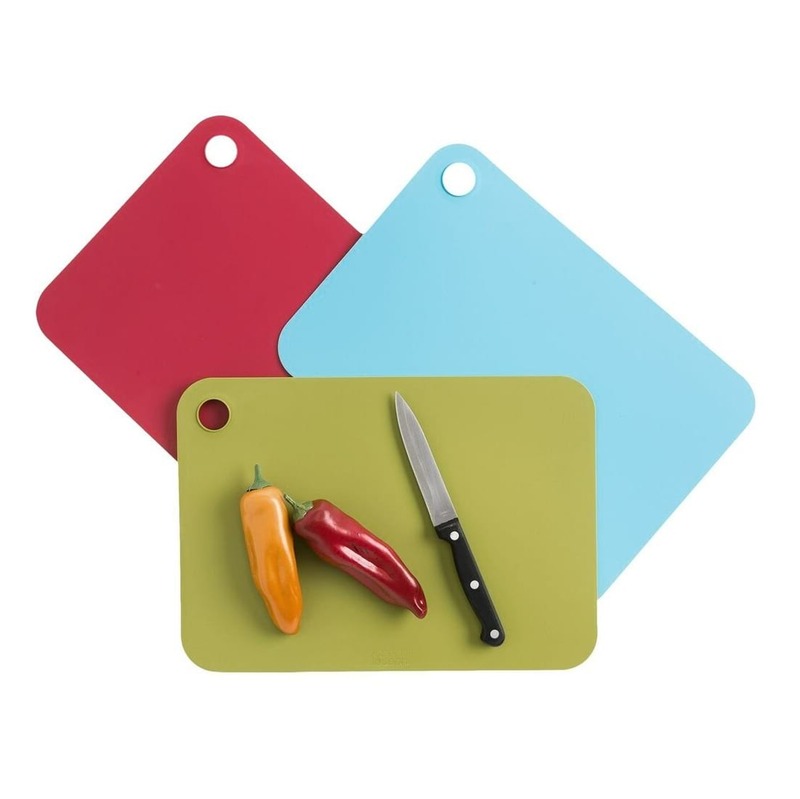 Each board has a double-sided, knife-friendly cutting surface and is clearly color- coded, making it easier to keep specific boards for specific tasks. 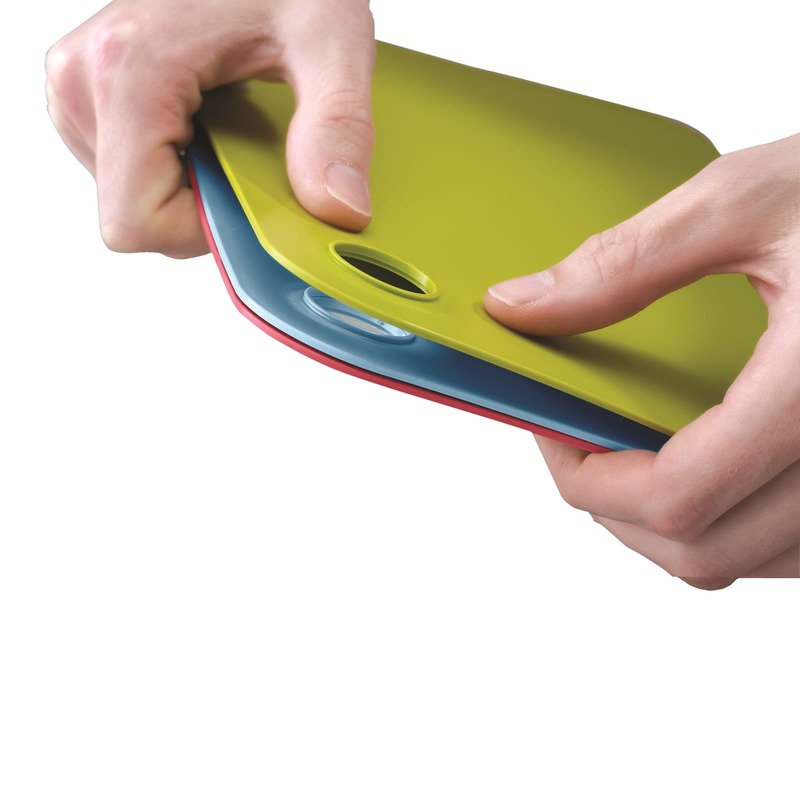 Their flexibility means that they can be bent to direct chopped food into a pan or food waste into a bin. 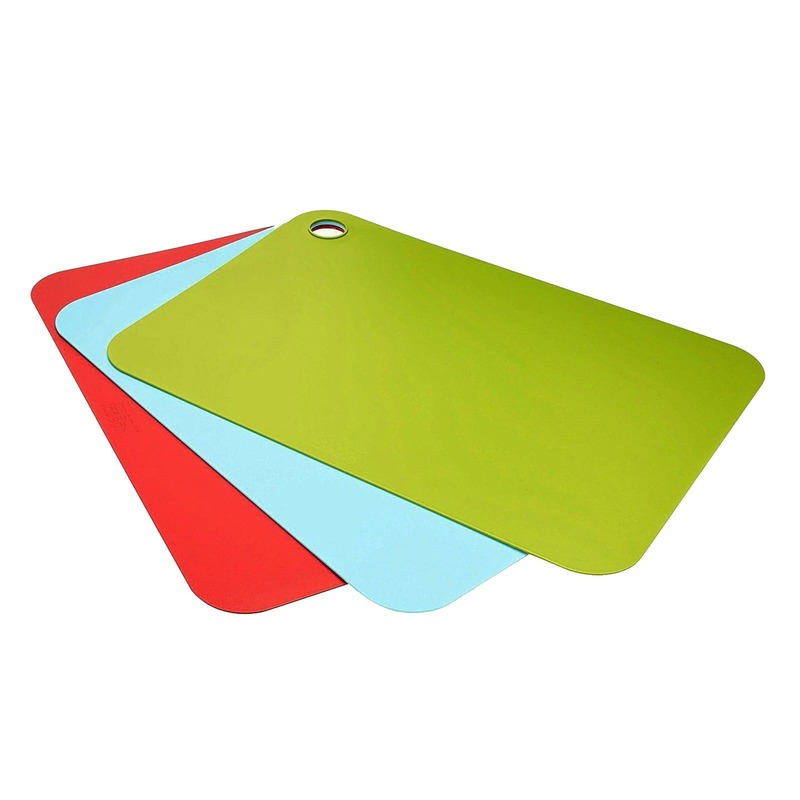 Set Includes: Three cuttings boards.